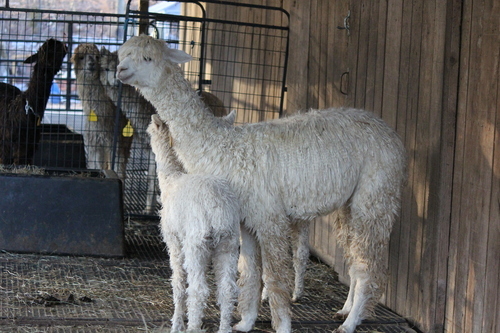 Full Peruvian - Suri breeders have us "backed into a corner with Kahuna genetics". They should pay attention! We have added to our suri herdsire stable two prepotent elite white herdsires, both who happen to be Accoyo, not that we care all that much. We do care however that they can produce. And how things evolve! 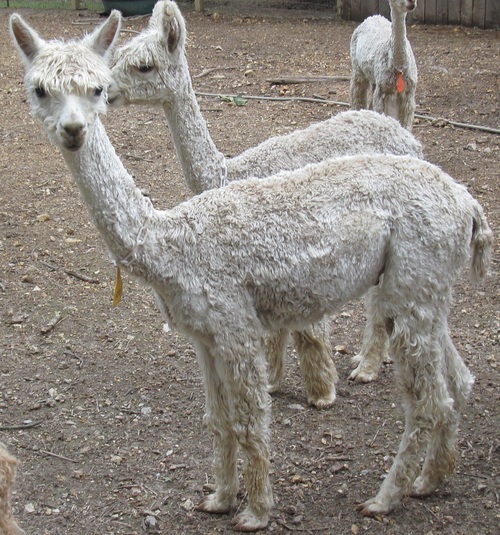 We first discovered Chachapoya back in 2006 at the Iinternational Alpaca Odyssey, in Laughlin, Nevada. 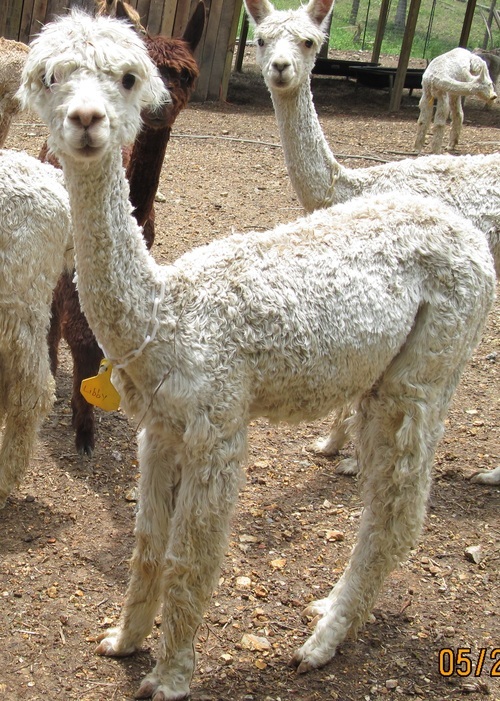 Jill Bergman who breeds some of the best suris in the country won the white female championship with this gorgeous female that was the daughter of Chachapoya. We hunted him down and visited him in Ohio. He took our breath away. 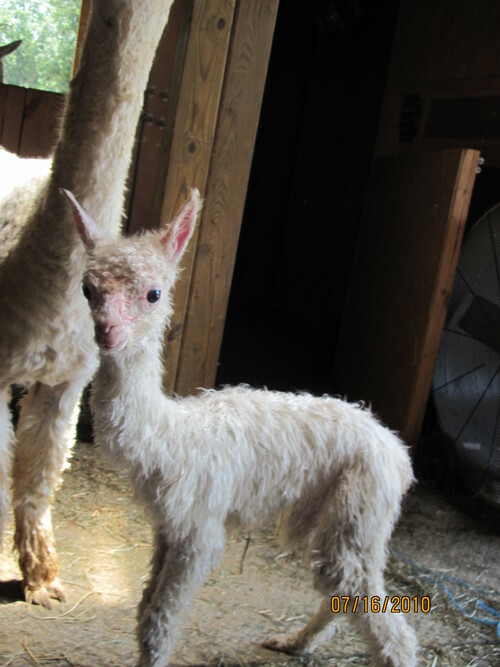 We also thought he looked the spitting image of the famous Peruvian Inca of Latah Creek fame. No chance of a purchase as Mike Barnhart had stitched that up. But now, 3 years later, Chachapoya makes his debut at Pucara International. We're licking our chops thinking what he can do with the Kahuna daughters. He'll get our best females. This girl has absolutely amazing fleece. Her luster is extreme. She rivals some of our Montoyo daughters' lusters. She is very fine, and her lock structure is still very well defined. Not only that, but she is an excellent mother, and has passed on her incredible fleece characteristics.